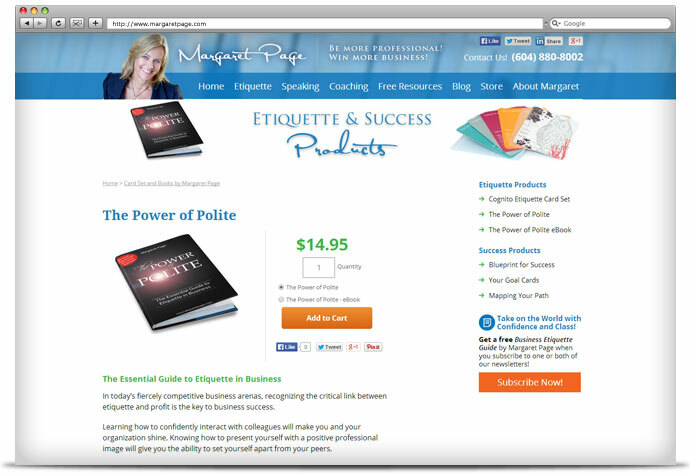 As a leading etiquette trainer, speaker and coach, Margaret Page helps professionals take on the world with confidence and class! With over 30 years experience, she’s an expert in the fields of business etiquette, cultural intelligence and personal development. 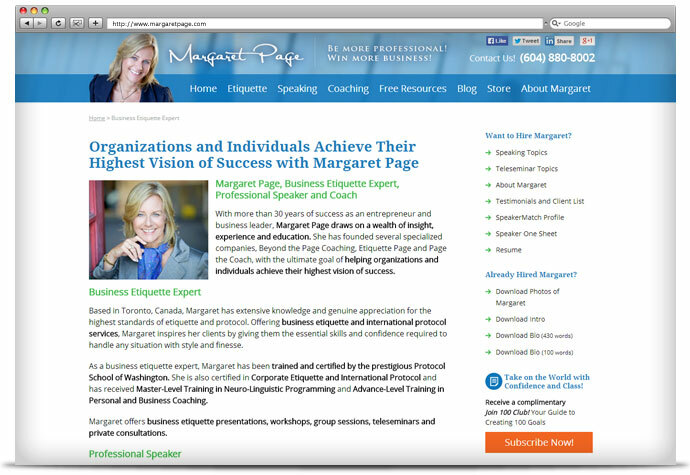 Margaret came to us for a fresh, modern new Website that made her wealth of services clear. Site navigation was of primary importance on this project. 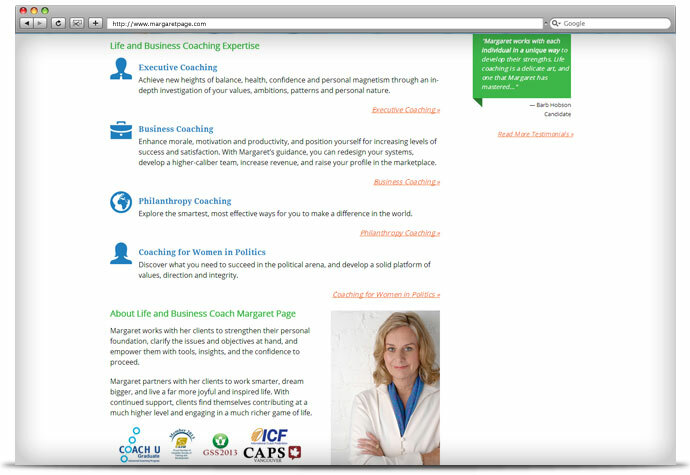 Margaret had three separate Websites for her etiquette training, speaking and coaching services. 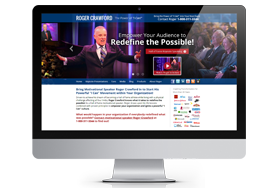 We consolidated these into one site, in order for potential clients to find what they need all in one place. 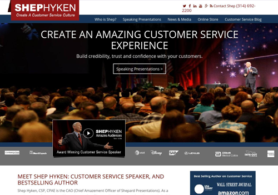 Our goal was to have individual services accessible in two or fewer clicks. 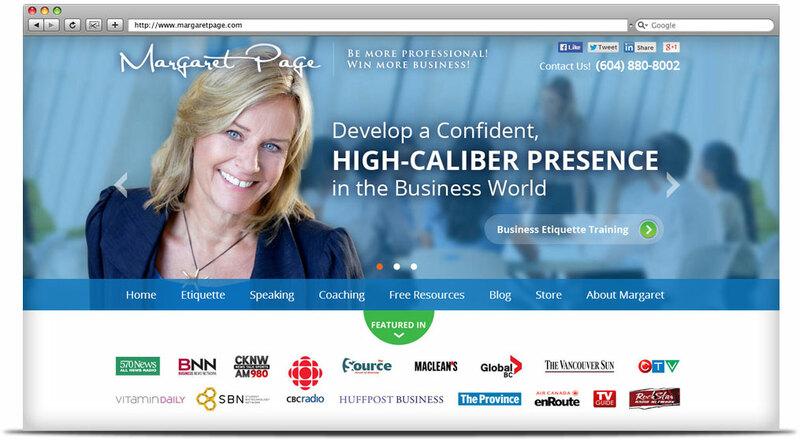 Because Margaret helps businesses and individuals develop a professional, high-caliber presence, her Website design needed to reflect these qualities. 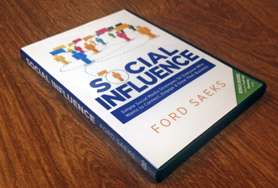 But as you can see from this site, “professional” doesn’t have to mean “dry and boring!” We used crisp, bright images and fresh colors for a modern feel with plenty of personality. 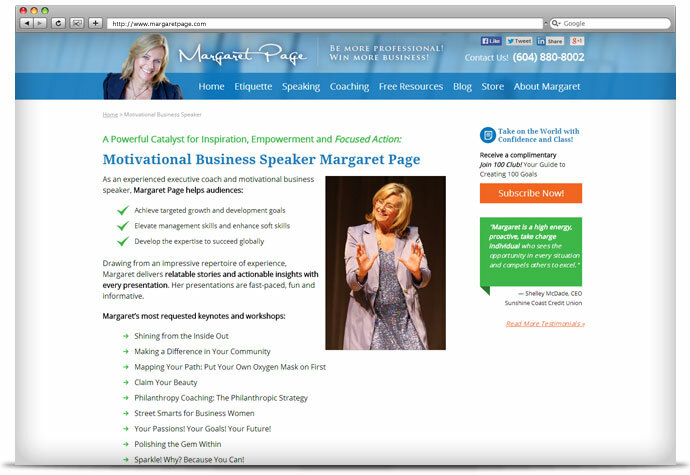 The site definitely has a certain “sparkle”—just like Margaret Page herself!